At QA Higher Education, we work closely with our partners to deliver industry-focused courses for students to develop key employability skills, resulting in accomplished graduates who are motivated and highly employable. Below are each of the levels of programme that we deliver with our partner institutions. For more information on each programme, click on the course name and you will be taken to a full website listing. 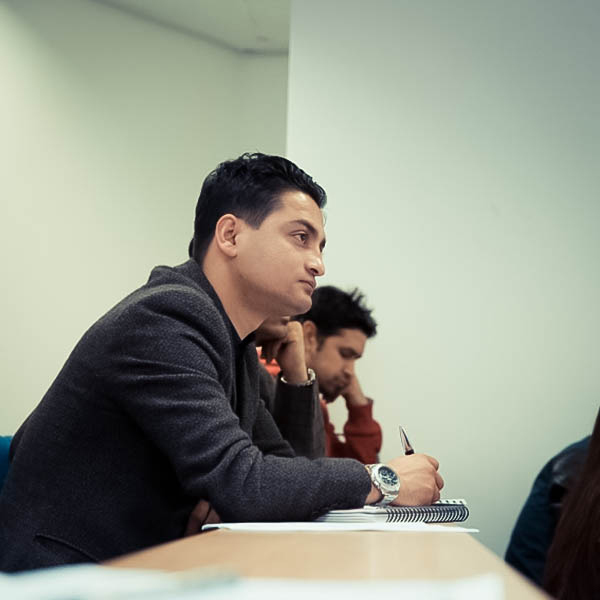 The pre-sessional English courses that we offer enable students who are 0.5 – 1.0 IELTS bands below their target course’s entry requirement to develop their English language to the required level. Each of the below top-up degrees allows students with an existing level 5 qualification to top-up to a full undergraduate degree with 1 year of study. For students who don’t meet the entry requirements for postgraduate study, the Graduate Diplomas and Graduate Certificates below are designed to bridge this gap. Upon successful completion of the course, students will be eligible to progress on to Masters-level study at the University. We deliver a mix of full-time and part-time postgraduate degrees with our partners, listed below. In the future I see a career in finance, so the international finance & interaction business simulations were very relevant, I always felt I was learning new things that would positively impact my career.